Eastern Shore Middle Necks baked with a mixture of green peppers, onions, herbs and bacon. Served with our homemade marinara sauce. Homemade and served with duck sauce. Blackened Tuna Bites* - $11 Served with ranch dipping sauce. Dockside’s special fried chicken wings. Baked or Fried Scallops - $14 Topped with wine sauce, bread crumbs and parmesan cheese. Baked with spinach, bacon, parmesan and feta cheeses. On ice served with homemade cocktail sauce. 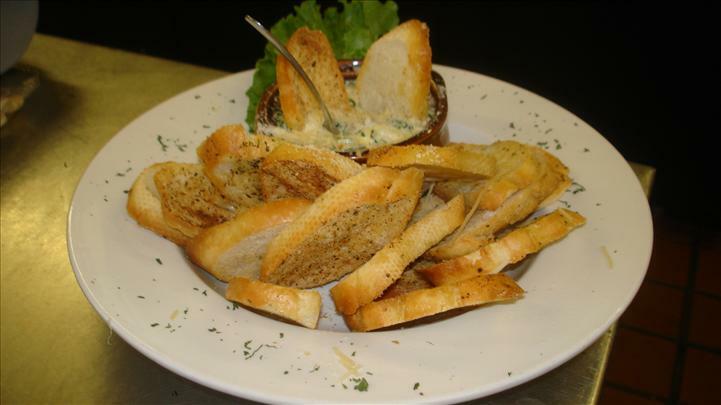 Spinach and Artichoke Crab Dip - $11 Fresh backfin crab meat and a blend of cheeses, served hot with seasoned French bread. Copyright © 2019 Dockside Restaurant and Marina. All Rights Reserved.